Just what do we mean when we call something a crisis? How does this interpretive frame interact with material circumstances? These are t he guiding questions for a chapter appearing in The Crisis of Journalism Reconsidered, edited by Jeffrey C. Alexander, Elizabeth Butler Breese, and María Luengo, just published by Cambridge University Press. My contribution, “Telling the crisis story of journalism: narratives of normative reassurance in Page One,” homes in on the larger questions of just what is happening to journalism through a particular text – Andrew Rossi’s 2011 documentary Front Page. The movie mainly follow the media desk at the New York Times as it covers the economic hardships engulfing the news media industry – including the Times. The movie presents an industry in peril with the threat to news not just one of change but of existential threat. But this is a particular vision with particular emphases and blindspots. That’s what is always important to remember about the application of “crisis” to a set of events. There is no denying that the news industry was suffering at the moment, but at the same time how this is understood matters. As I argue in the chapter, a particular diagnosis leads to a particular course of treatment (while excluding others). In this documentary, what emerges is a discourse of “normative reassurance” wherein journalists advocate for the retention of core values even as the media and platforms through which news is produced and circulated change. Research takes time, books take time, and sadly between writing this chapter and its publication, the much-beloved New York Times media columnist David Carr p assed away in 2015. Carr was very much the star of Page One. The film gets into Carr’s personal tale of redemption and his improbable ascension. 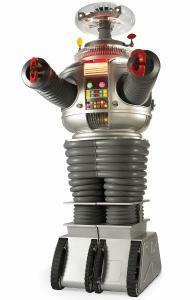 Clips from the movie were on frequent display after his death. The importance of his place in how we understand journalism is hard to overstate, and the editors of the book rightly decided to dedicate the book to him. 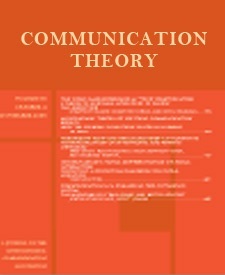 My latest article, “Metajournalistic Discourse and the Meanings of Journalism: Definitional Control, Boundary Work, and Legitimation” is now available ahead of print on the Communication Theory site. 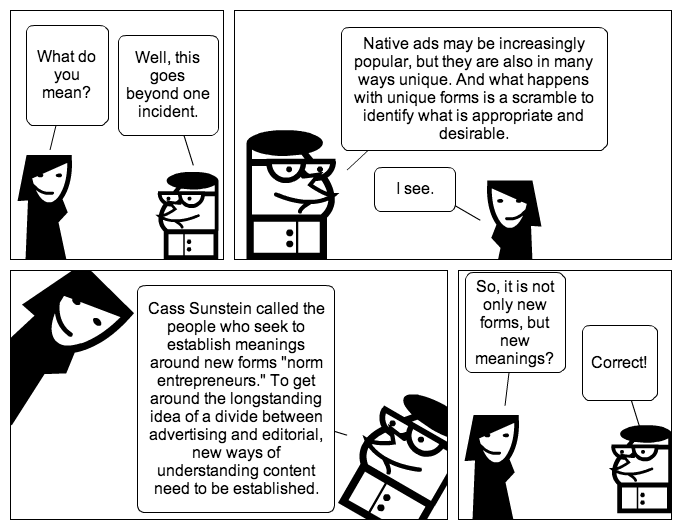 I’ve been working with an idea of metajournalistic discourse–public talk about journalism–for some years now, applying it to deviance, the decline of newspapers, the manifestos of news startups, media criticism, and gatekeeping. This article steps back from specific examples to theorize what this discourse does. 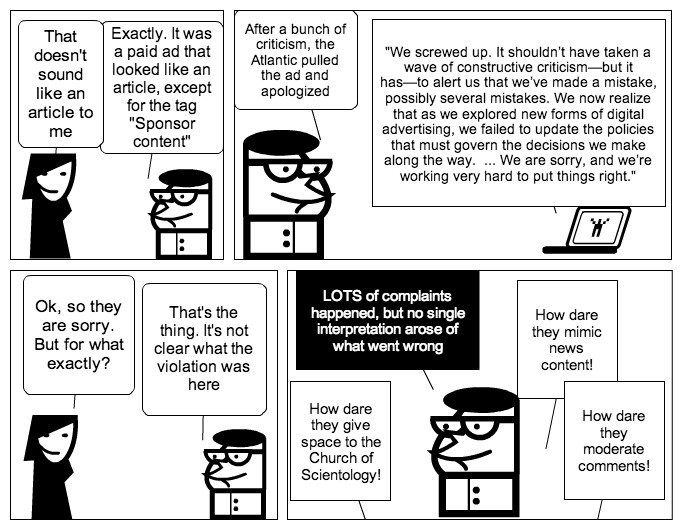 I argue that news discourse (i.e. what journalists produce) is always accompanied by discourse making sense of news. We can really only understand journalism as a cultural practice and a knowledge-producing activity by examining this larger context of metadiscourse the same way we study material structures, technologies, media policies, role conceptions, production and consumption practices, etc. 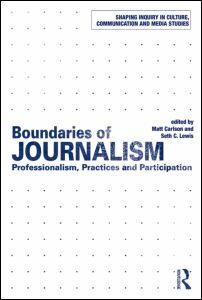 In fleshing out these claims and identifying consequences, I associate metajournalistic discourse with definition-making, boundary work, and authority. 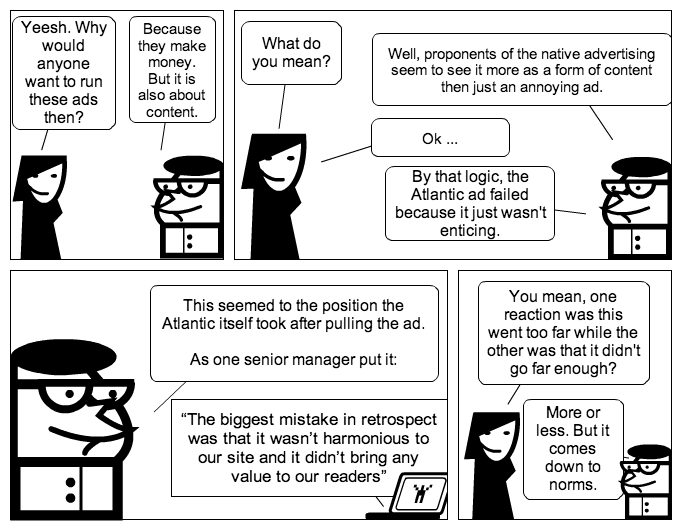 Articles are always journeys, and this one began as a presentation at the Qualitative Political Communication Research pre-conference at the 2014 ICA meeting in Seattle. I appreciate the opportunity this excellent pre-conference offered to work out the ideas that eventually became the Communication Theory article. 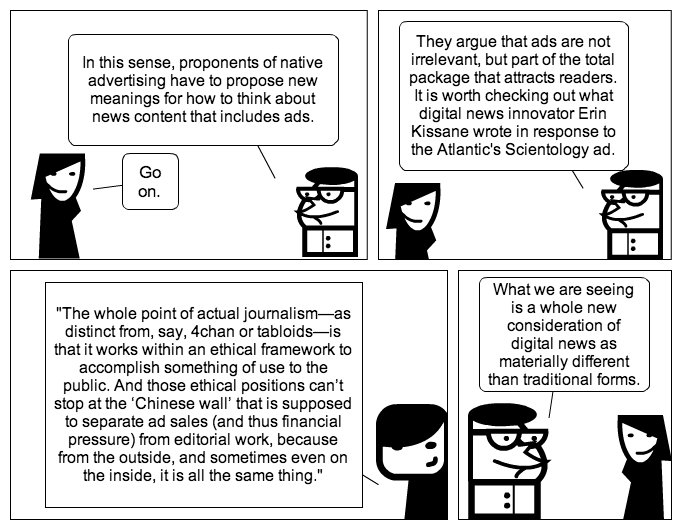 In a new article to be published in Digital Journalism, Nikki Usher and I look at how digital news startups talk about what they do by examining their “manifestos” — i.e. public-facing statements about who they are, what they do, and why they make journalism better. 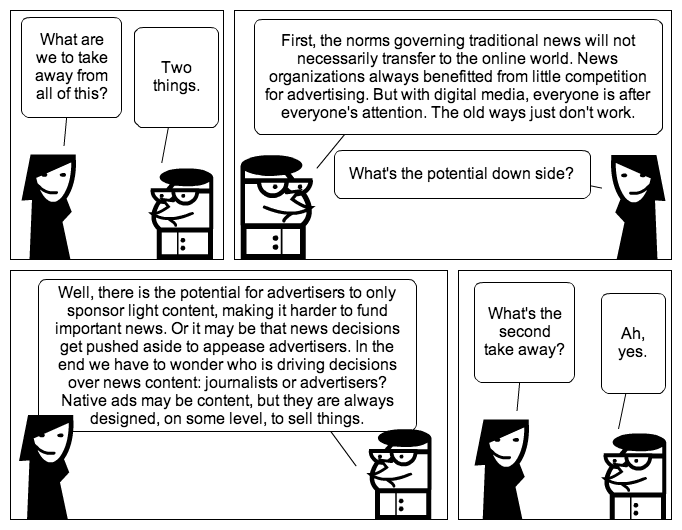 Although these manifestos are by no means uniform, they do share an effort to define not only what the news startup is doing, but why improvement is needed in the first place. In this way, they are examined as key moments of metajournalistic discourse that define appropriate practices, demarcate the boundaries of journalism, and establish arguments for what legitimate journalism looks like–or ought to look like. 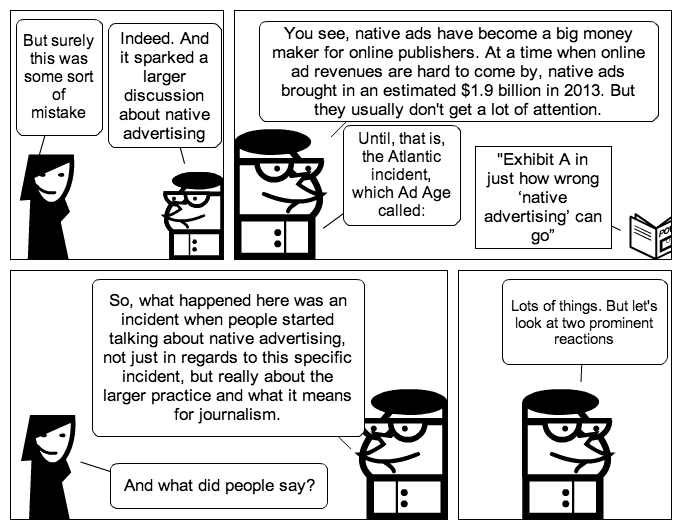 One pattern we found was a reluctance to attack traditional journalism in any sustained way. Instead, these startups simultaneously rely on the authority of existing journalism while they also craft arguments for the improvements they offer. In being constrained from a full-throated attack, these sites instead emphasized two traits. First, they took an iterative stance in which they celebrated an attitude of experimentation, which they contrasted with static news forms. Second, they sought to collapse barriers between journalism and technology by advocating for closer connections between news workers and technologists. Another thing we learned was that life often moves faster than academic publishing. As the article finished the revision process and entered the production stage, one of our news sites, Circa, ceased operations due to a lack of funds. To us, this underscores the precariousness of the digital news environment and the fine line between innovation and sustainability. Digital Journalism has posted my new article, “The Robotic Reporter: Automated Journalism and the Redefinition of Labor, Compositional Forms, and Journalistic Authority ” (behind a paywall). It’s part of a special issue edited by Seth Lewis on big data and journalism. In my contribution, I examine how algorithms tasked with crunching big data can now be used to write stories. This is a nascent practice, but one that we can easily imagine will become more prominent as the technology develops. What’s important now is to understand both the processes around the institutionalization of automated journalism and how these process are being thought about. 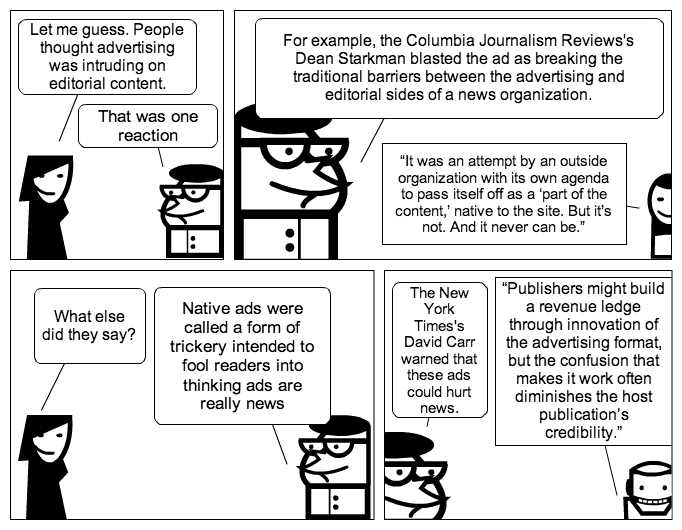 That is, computer-authored stories raise all kinds of questions about journalism as an informational practice and a creative practice, or news as a commodity and news as culture. I’ve had two new articles and a book chapter published in 2014. 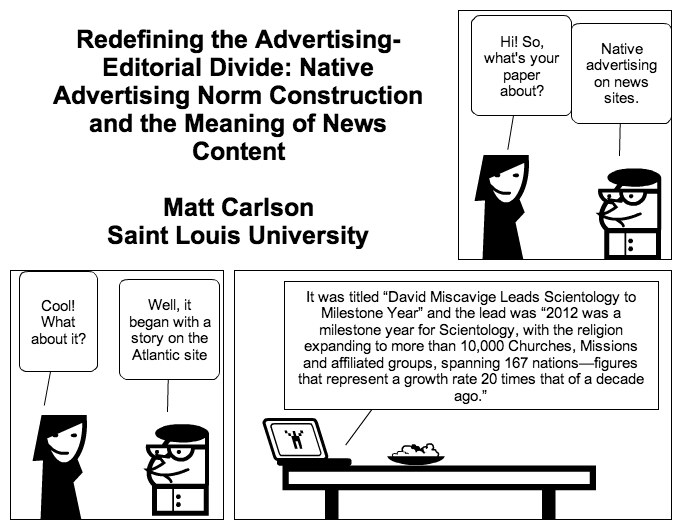 The first, “Gone, But Not Forgotten: Memories of Journalistic Deviance as Metajournalistic Discourse” appeared in Journalism Studies at the start of the year (note: it is behind a paywall). The article argues that while the journalistic community tends to make a big show of excommunicating individuals deemed to be deviant–e.g. Jayson Blair, Stephen Glass, etc.–in fact they remain within the vocabulary of journalists, able to deployed when new allegations of journalistic deviance arise. They continue to provide ways of thinking through and making sense of new violations, even when little correspondence between a new incident and a past one exists. The other article also tackles the topic of deviance, this time through a Transatlantic approach to the News of the World scandal in the UK. Along with Dan Berkowitz, the article is titled “The Emperor Lost His Clothes’: Rupert Murdoch, News of the World and Journalistic Boundary Work in the UK and the USA” and appeared in Journalism (also paywalled). We play with the twin ideas of cultural boundaries as professional and national to look at different reactions to the scandal. Finally, Dan and I also have a chapter in the new volume Journalism and Memory edited by Barbie Zelizer and Keren Tenenboim-Wienblatt for Palgrave. 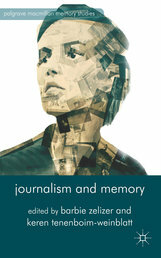 Beyond the great cover, it is an excellent collection of chapters from scholars inside and outside of journalism studies who have been writing about memory. Our contribution, “The Late News: Memory Work as Boundary Work in Commemoration of Television Journalists,” looks across the memorialization of well-respected American television journalists David Brinkley, Peter Jennings, Walter Cronkite, and Mike Wallace, as well as the continued legacy of Edward R. Murrow.